Silas Melson (center) stepped up with Nigel Williams-Goss injured and unable to play Saturday. It wasn’t a good weekend for teams ranked in the top 10 of the AP Poll. When No. 1 Gonzaga’s starting lineup was announced Saturday evening, and point guard Nigel Williams-Goss wasn’t in it, there was reason to fear that Gonzaga would be the seventh team ranked in the top 10 to lose on that day. But instead the Zags (24-0, 12-0 WCC) showed why they’re the top-ranked team in the nation with a 90-55 dismantling of Santa Clara. Just two days after the team needed a superhuman performance from Williams-Goss to survive against BYU — the junior scored 24 points in the second half, on a sprained ankle which kept him on the sidelines Saturday — Mark Few’s squad would have to go without their star. That next man up was Silas Melson, who got his fourth start of the season. Melson scored only four points, but he accounted for just one missed shot and made no turnovers. Most importantly though, he played lockdown defense on one of the best scorers in college basketball: Santa Clara’s Jared Brownridge. Brownridge, who averages over 18 points per game, managed just 13 on Saturday. Scoring 90 points might lead people to overlook the defensive effort Gonzaga put forth against the Broncos. But that defense is the very reason this team made it through a tough week unscathed, unlike virtually every other team near the top. 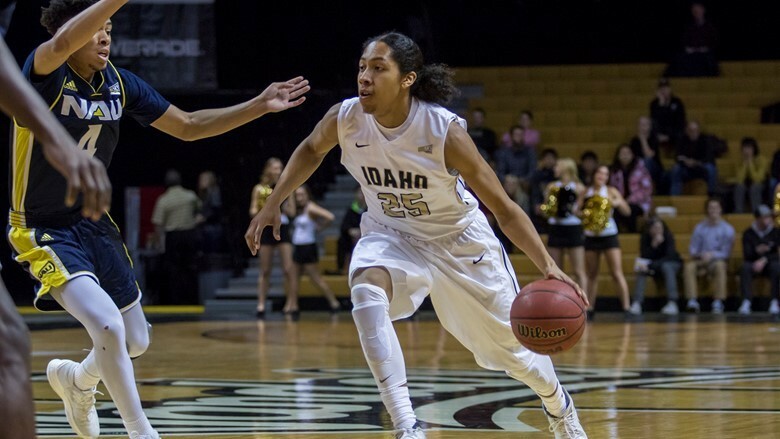 On Thursday against BYU the story was Williams-Goss. It was that Gonzaga has a point guard who deserves to be in the conversation not just for the Bob Cousy Award, which is given to the best point guard in the country, but for national player of the year award as well. But on the defensive end, Gonzaga held the run-and-gun, high-scoring Cougars to a season low with just 24 points in the first half. 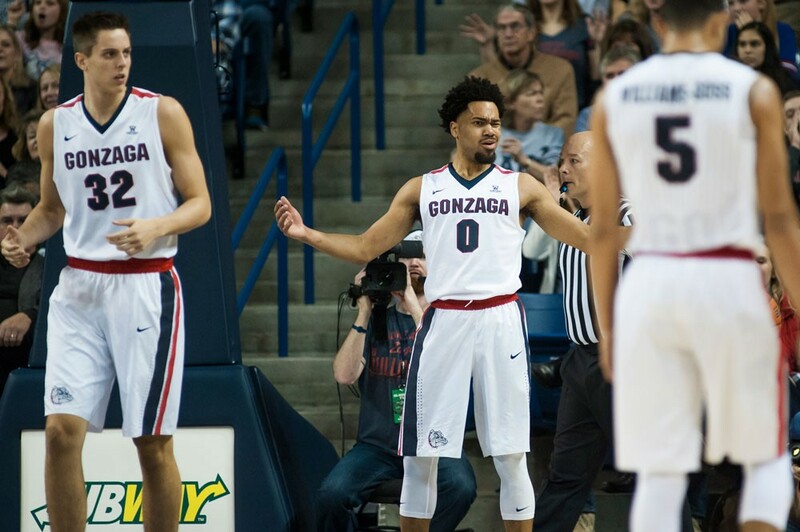 On Saturday against Santa Clara the story was how Gonzaga’s balanced, talent-laden roster put on a show without their starting point guard. On the defensive end the Zags held the fourth place Broncos to their second worst performance, in terms of efficiency, since the start of conference play. 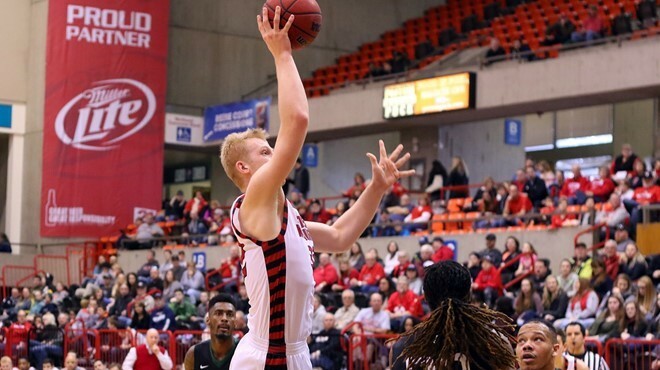 EWU's Bogdan Bliznyuk had 45 points on Saturday. Eastern Washington is hanging around in the Big Sky conference, currently sitting in second place, two games behind Weber State. Over the weekend, the Eags played in one of the most insane games in recent memory, earning coach Jim Hayford his 100th victory at EWU via a triple-overtime win over Portland State and had a score reminiscent of the NBA in the early '80s; the Eags won 130-124. Both Jacob Wiley and Bogdan Bliznyuk equaled the school record with 45 points apiece in the win. Inexplicably, this was also the Eags' 10th overtime game this year. The Cougs are hanging tough in the middle of the Pac-12 pack. Washington State continues to prove a scrappy club after a disastrous 2015-16 season. While they're not going to make the NCAA tourney (barring a miraculous run in the Pac 12 tournament), they are proving to be a pain for the conference's elite clubs to deal with. 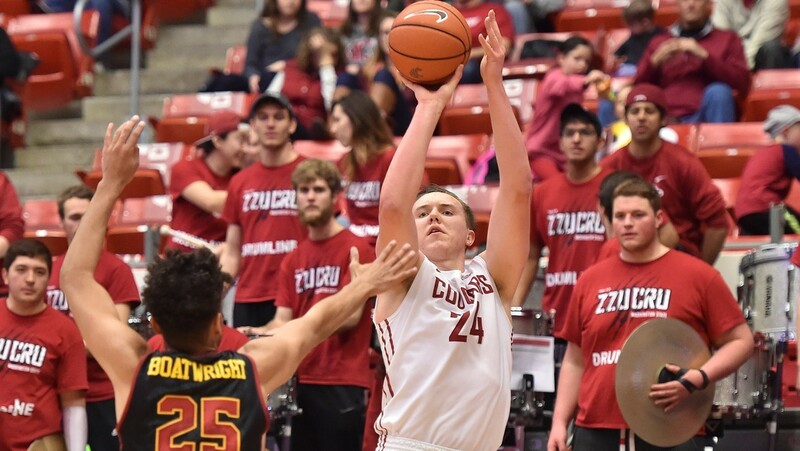 On Saturday, the Cougs hung tough with USC, one of the conference's stronger squads at 7-4 in conference and 20-4 overall, losing a close one 86-77 after holding a lead with 10 minutes to play.